Back by popular demand, Fisher Center is now pleased to offer our second Reddit chat with Dr. Greengard. The overwhelming response from the first chat at the end of 2015 demonstrated the overwhelming need for a second session to answer the public’s demand for more information on Alzheimer’s and give more people the opportunity to submit their questions related to the disease. Mark your calendar. 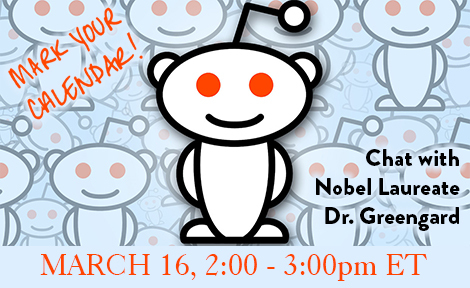 On March 16, from 2:00 – 3:00pm ET, visit Reddit.com/r/IAmA to ask Nobel Laureate Dr. Greengard your questions about Alzheimer’s. It’s easy. All you have to do is click on Dr. Greengard’s title in the lower right hand corner of the screen where the calendar appears and you’ll be prompted to type in your question. Since Dr. Greengard and his team of scientists are working hard at solving Alzheimer’s, they will only be able to answer questions for an hour or so. 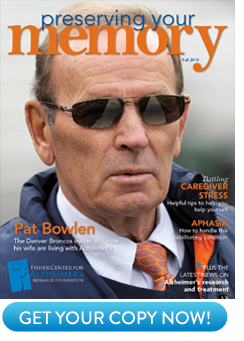 Not to worry, though, if you can’t make it at that time, visit Fisher Center’s “Ask The Experts” at ALZinfo.org following the chat to get your important questions answered.